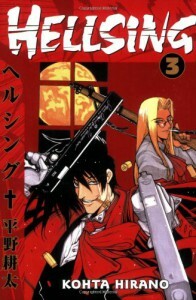 I love Hellsing. Reading him is such a relief in this Twilight era of emotional vampires. Hellsing is so badass you can't help but to love him and wish that he was on your side when things in real life get sticky.